Just off Lonsdale Street Hamilton is the Australian Light Horse Memorial. 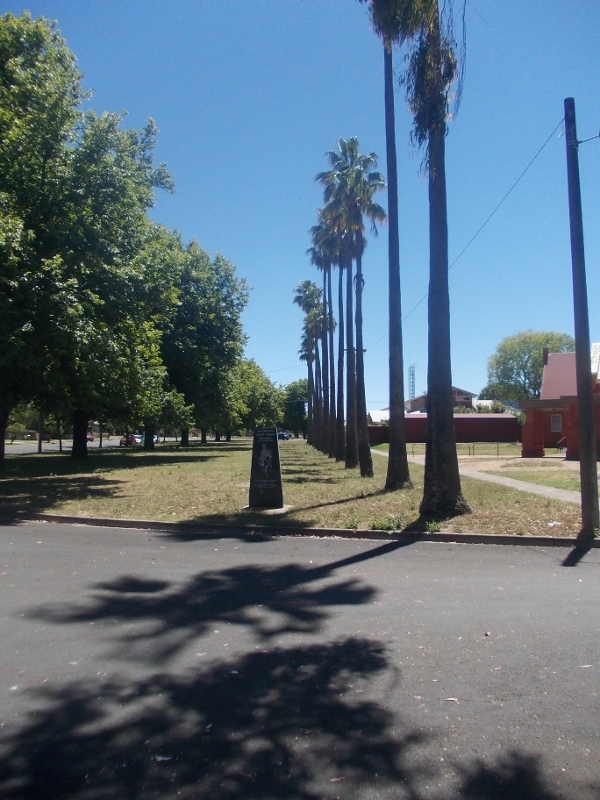 Beyond the memorial stone are fourteen Aleppo palms running along Alexandra Parade. The plaque reads the palms were planted to commemorate the men of Hamilton killed during the Battle of Beersheba on 31 October 1917. 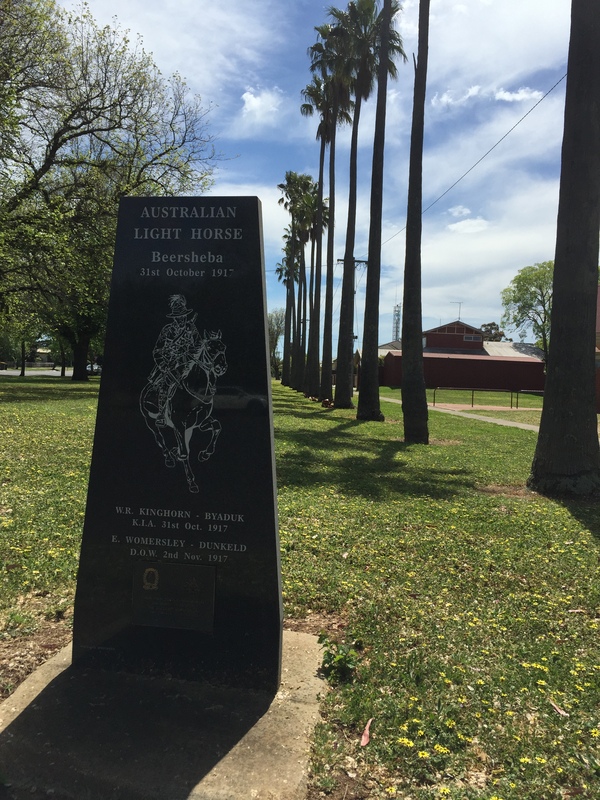 The memorial stone and plaque were unveiled in 1995 remembering two local men who were members of the 4th Australian Light Horse Regiment, Walter Kinghorn and Edgar Womersley. 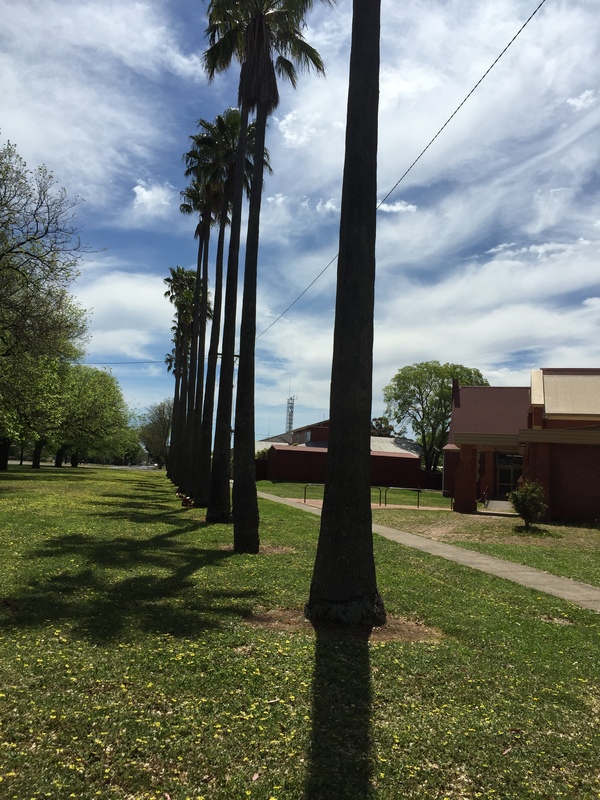 In September 2016, the Southern Grampians Shire agreed to name the area the Beersheba Memorial Park. The Hamilton Spectator of 22 September 2016, published a statement from the Hamilton History Centre stating they had no evidence the palms were planted in memory of the 4th Australian Light Horsemen or the Battle of Beersheba.